This week’s Throwback Thursday article is from the April 2014 edition of Australian Aviation, where Owen Zupp investigates what it takes to operate between Australia and Dallas/Fort Worth in Texas. It’s just a number on a flightplan, but it’s a big one – 7,554. That’s how many nautical miles it is from Sydney to Dallas/Fort Worth in Texas and for the metrically-minded, that’s a touch less than 14,000 kilometres. With a nudge from a slight tailwind, it will take the 747-400ER (Extended Range) about 14 hours and 40 minutes to cover the Pacific Ocean and reach America’s Lone Star state. And yet it is the flight into wind, home to Brisbane, which will surpass 15 hours in a routine act of tremendous endurance. This is the longest haul. Crossing the Pacific is not a new endeavour for Qantas. It has been doing it for decades in all manner of craft from the Lockheed Constellation to the Airbus A380. However, these flights traditionally terminated on reaching the continental United States, be it Los Angeles or San Francisco. From these west coast gateways, passengers were then able to access the rest of the US through a wide range of connections and codeshares. The move to take the long haul to America that step further began in 2011 when Qantas launched QF7, a direct service to Dallas/Fort Worth (DFW), Texas. On the surface, DFW may have seemed a curious choice, but once the surface is scratched a little deeper the logic becomes obvious. For Dallas is home to the giant American Airlines, both in terms of its official headquarters and as a massive hub to the rest of the United States. One of the world’s largest airports, DFW boasted 650,000 aircraft movements and 57 million passengers through its doors in 2011, with its daily aircraft movements peaking at around 2,000. These are incredible numbers at an airport that allows direct access to nearly 200 US destinations and with more streamlined customs queues than one would find on the West Coast. The airport itself is spread across 70 square kilometres, well clear of the urban sprawl and with tremendous potential for further growth. There is room to expand its already generous seven runways, while its series of terminals are serviced by a dedicated rail system. 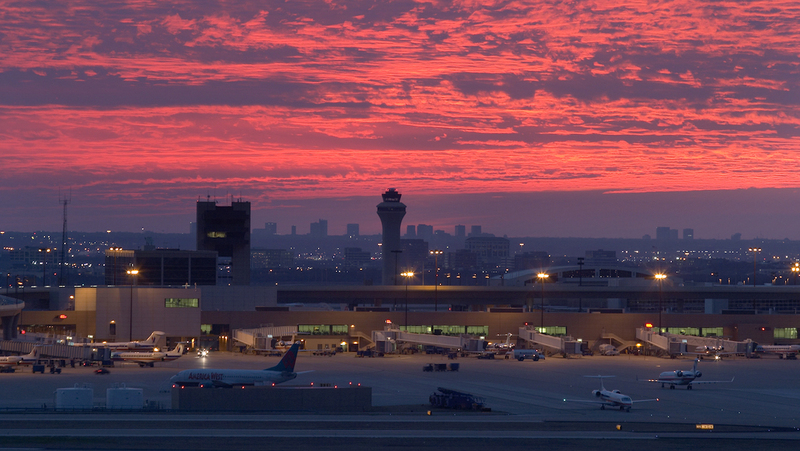 It is a purpose-built airport, unencumbered by the hurdles so often encountered by growing airports in an urban age. Commercially, the direct service to DFW also ties the mining communities of Western Australia and the United States into a “one-stop” journey via the Australian east coast. This return journey is the QF8 service to Brisbane and by virtue of headwinds becomes the most challenging leg to flight plan. Making the Dallas service a reality begins days prior to each flight in the flight dispatch offices of Qantas. Whether flying from Sydney to Canberra or Dallas to Brisbane, each journey is met with a series of planning challenges. For the Dallas service that challenge is safely flying an aeroplane on a sector distance that equates to roughly a third of the earth’s circumference in a single leap. All the while the task calls for sufficient available alternate airports and required fuel reserves, factoring in the variables of seasonal climates and winds. The 747-400ER has proven to be the right aircraft for this route. Inside, the re-configured cabin has proven extremely popular with passengers, but it is the long legs of the Boeing that really get the job done. Powered by four General Electric (GE) CF6-80C2B5F engines, together they are capable of producing nearly a quarter of a million pounds of thrust. With a maximum takeoff weight in excess of 410,000kg, the “ER” is capable of carrying nearly 230,000 litres of fuel. Impressive performance figures and indicative of the numbers required for a flight to span the globe. Days before QF7 pushes back from its gate at Sydney, the flight dispatchers have one eye cast upon the enroute winds, prevailing weather and the planned payload. The routing to Dallas inevitably seeks to surf the most favourable winds across the Pacific making landfall well south of Los Angeles along a route that tracks across Mexico. From there it is onto San Antonio and one of the four “entry gate” waypoints for Dallas. The final stages of the flight are often assisted by direct routing provided by air traffic control, while there is no shortage of available alternate airports. Phoenix, Houston, Fort Worth Alliance and even Los Angeles all provide friendly options for the “747 ER” after a long night aloft. For the return flight, the Boeing does not transit Mexico, but makes a bee-line for the West Coast and the most wind-friendly route to Brisbane. It is this return sector that is particularly flight-planning sensitive as the 747 has to push into the wind and in the northern summer months of May and June, do battle with the climbing Texas temperatures. As impressive as the performance of the 747-400ER may be, it is the close co-operation of flight dispatch, meteorological services and technical crew that ultimately make this service a reality. A typical route map used for the Qantas QF7 and QF8. In hot summer months, temperatures can top the 40 degree Celsius mark, although the aircraft is kept cool inside by virtue of DFW Airport providing pre-conditioned air. Just as high temperatures challenge takeoff performance, headwinds provide the hurdle for the flight home to Brisbane. Interestingly though, it is not weight that is the limiting factor for this longest of flights, but the ability to uplift fuel. In basic terms, specific gravity, or SG, is the density of a substance relative to water at the standard temperature of 15 degrees Celsius. The SG of jet fuel is subject to both its process of refinement and the ambient temperature. Generally speaking, the specific gravity of Jet A1 fuel lies between 0.78 and 0.84, so 100 litres of jet fuel should weigh between 78 and 84kg. Applying this to the 747-400ER in round numbers, at an SG of 0.78, the Boeing’s capacity of 227,000 litres equates to 177,000kg, while at the other end of the scale the more dense 0.84 SG would yield 190,000kg of Jet A1 fuel. At the extremes of the scale, that is a difference of around 13,000kg of available useable fuel for the same fuel tank capacity. Generally, the fuel uplift is in the realm of 180,000kg for the flight home to Brisbane. With the Boeing’s fuel flow calculated in kilograms per hour, logically the more kilograms of fuel on board, the greater the endurance. Ultimately a higher, more dense SG yields more kilograms of fuel within the 747-400ER’s mammoth fuel tanks. 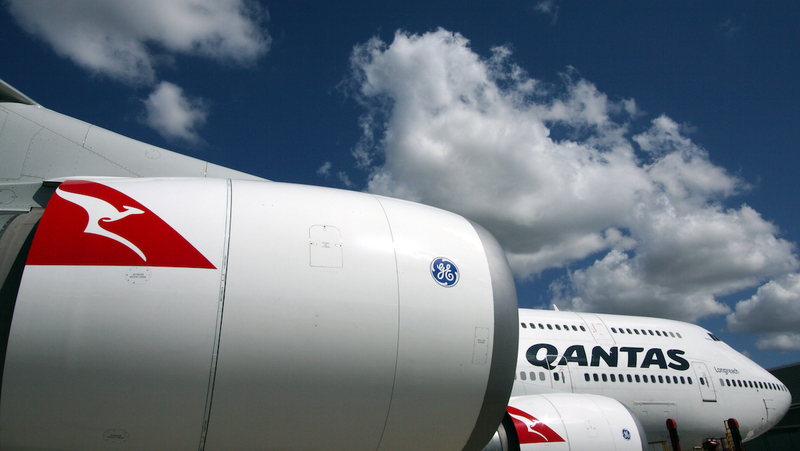 As a consequence, Qantas ideally seeks the highest SG possible to maximise fuel on board. Regardless, it is always “full tanks” on departure from DFW, but it is dependent upon the SG of the fuel that determines how many kilograms are actually on board for the trip home. Four of the Dallas runways are suitable for the departure of QF7 and each involves a relatively short, fuel-efficient taxi route. 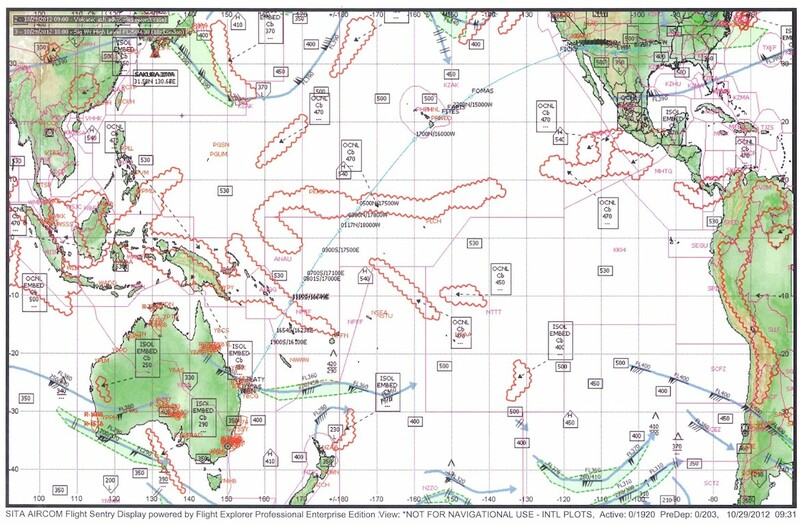 The ensuing flight across the Pacific once again seeks out the most advantageous winds and retains Noumea and Auckland as options in the final stages of the sector. Captain Ossie Miller is the Fleet Captain for Qantas’s 747 operations and was heavily involved in the DFW service long before the inaugural flight ever left the ground. 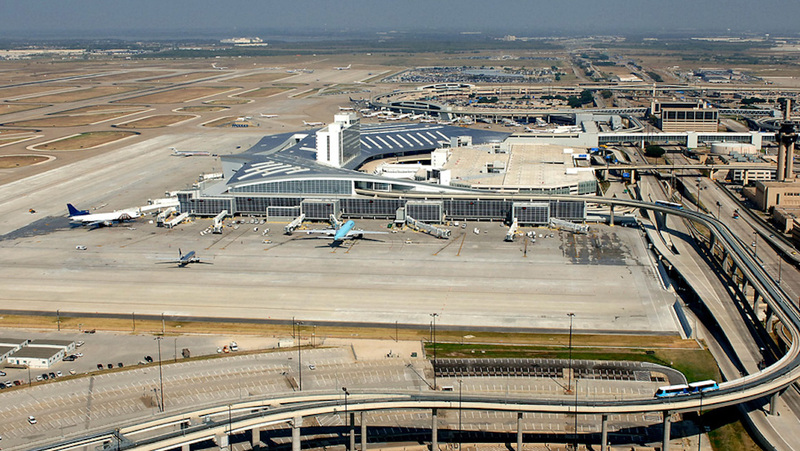 The project called for an immense amount of forward planning which was further aided by the enthusiastic and pro-active involvement of the people who manage DFW Airport. From the outset DFW not only supported the logistics of the service, but the way in which air traffic is managed at Dallas was very attractive. Captain Miller explained the DFW ATC philosophy is that an “aircraft never stops”. Undoubtedly that is a common goal of ATC around the world, but DFW seemingly delivers. From the four air traffic entry “gates” that sit at around 25 nautical miles from the airport, QF7 is usually cleared to 6,000ft for a downwind leg of the circuit and subsequently for a visual approach with an absolute minimum of fuss. The huge complex consists of parallel runways with half welcoming arrivals and the other half churning out departures. Once on the ground, the aircraft still “never stops” and it is a quick taxi onto the gate. Before departure of the into-wind QF8, all parties will keep an eye on the critical SG of the fuel and the ambient conditions. Winter is always kinder with cooler temperatures providing denser fuel, lighter winds and enhanced aircraft performance. The summer months give rise to higher temperatures and the refuelling tanker will stay connected until the last possible moment. Meanwhile, the crew checks the latest SG of the fuel and the zero fuel weight of the aircraft to ensure the fuel on board is maximised. The crews have all seen the challenges of DFW in the simulator and have a real appreciation of what to expect. Even so, with all the planning and historical data, nature can still throw up its variables such as a weather front that recently passed through Dallas, right at the planned time of departure. This unseasonal weather called for the unusual departure runway of 31 Left and undoubtedly sent the dispatchers scurrying for data. Despite the last-minute change, the situation was managed and the aircraft was still able to uplift its precious fuel and payload and make the long haul home to Brisbane on schedule. Forging new air routes always come with challenges, varying from commercial realities to operational hurdles. 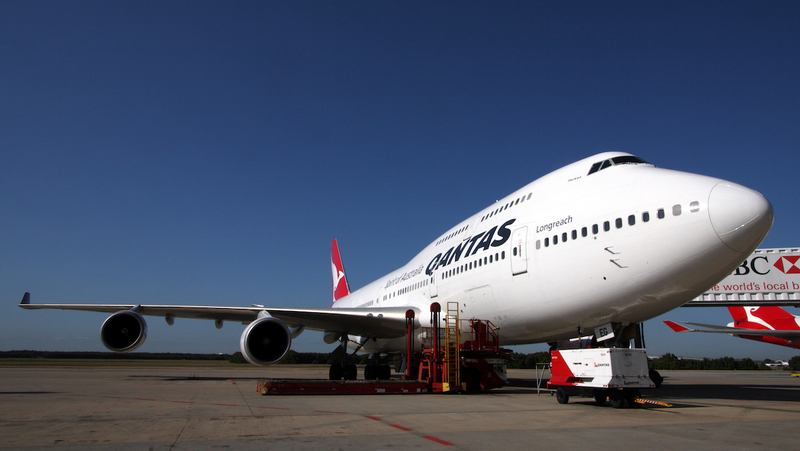 Services such as QF7 and QF8 call on the “Extended Range” 747-400 to do just what it was designed to do. However, there is far more needed than just the Boeing’s impressive engineering to make such flights a reliable reality. As far back as Kingsford Smith and the Southern Cross or Qantas and the “Connie”, the miles that span the Pacific Ocean have provided fundamental challenges to aviation. 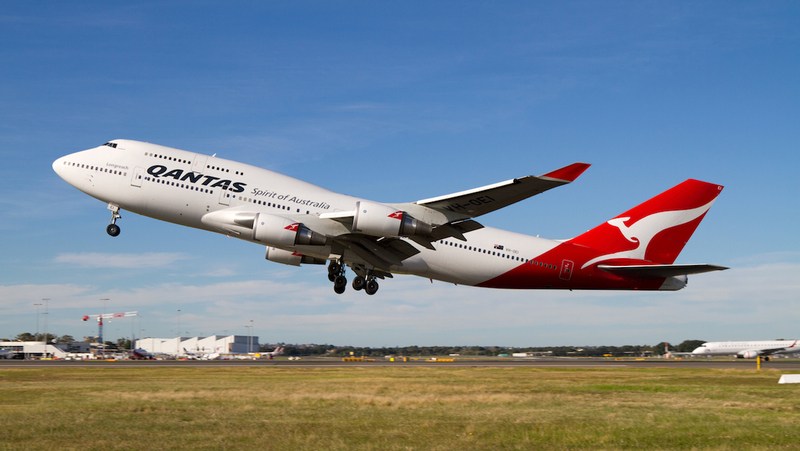 Today, with the combination of a very capable aeroplane and the impressive co-ordination of teams on both sides of the Pacific, the flights between Australia and Dallas have become a regular service on the Qantas schedule. An impressive feat, for a flight that is truly the longest haul. POSTSCRIPT: Since this article was published, Qantas has upgauged the QF7 and QF8 to the Airbus A380 and eliminated the technical stop in Brisbane on the westbound leg. The flight now operates nonstop in both directions between Sydney and Dallas/Fort-Worth. VIDEO: The arrival of Qantas’s first Airbus A380 service to Dallas/Fort Worth, as shown on Qantas’s YouTube channel. no one from outside of SYD wants to go anywhere near SYD. From BNE or MEL, it adds around 5 or 6 hours in each direction. That’s flight time to SYD, minimum connecting time & then add a few hours for congestion delays & too reduce stress.